Engaging Donors to Make a Transformational Impact on the Future. Beacon undertook a complete overhaul of the Cal State East Bay website, which included full HTML and CMS rebuilds and a new, responsive and mobile-friendly design. Inventive project plans, excellent project management, singular focus and a great synergy with the client ensured that the project’s requirements and deadlines were successfully met. Beacon also performed Google Analytics analysis and provided code modifications to improve tracking and data collection of website traffic. New interactive campaign page drives giving, and reconnects alumni with progress tracking and featured stories. 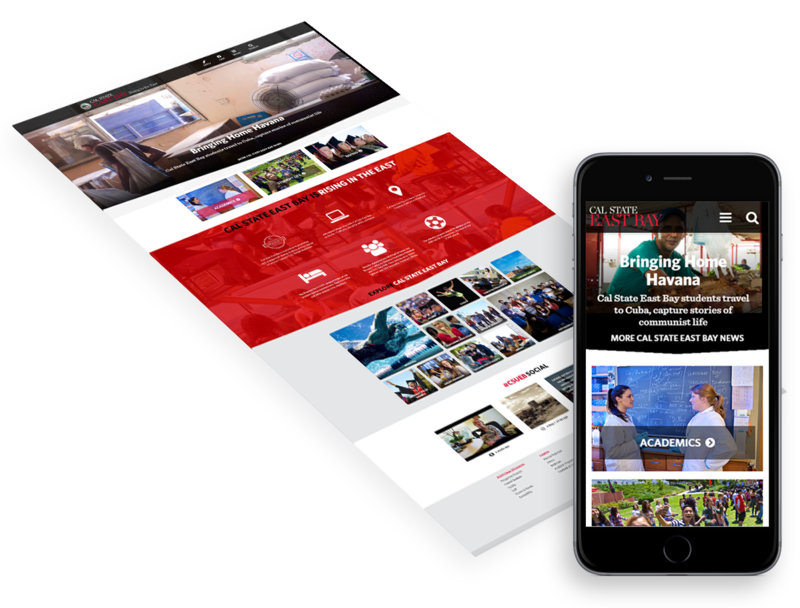 Cal State East Bay chose to work with Beacon because of our demonstrated ability to deliver a modern, mobile-first design. The client was particularly pleased with the way the video slider, parallax scrolling and user-friendly mega-menu navigation were employed to give the new website a modern, contemporary look.